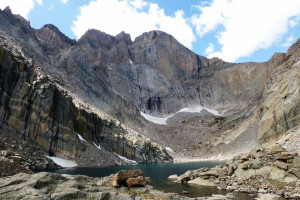 When visiting Rocky Mountain National Park, drive down Bear Lake Road and you will soon arrive at Moraine Park, a wide-open plain carved out by glaciers thousands of years ago. 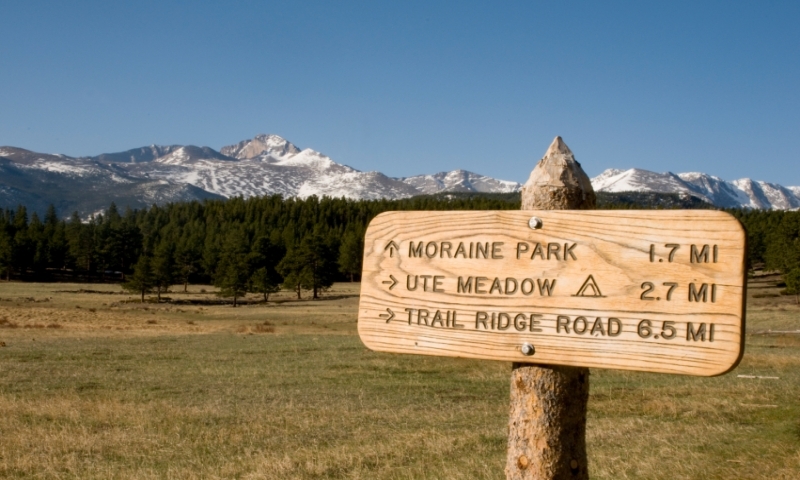 Moraine Park, Colorado is an expansive valley along one of the most scenic drives in Rocky Mountain National Park. Not only will you enjoy watching many kinds of wildlife, but also wildflowers bloom with an array of color in the spring. Take Highway 36 out of Estes Park, driving past the Beaver Meadows Entrance Station and taking a left onto Bear Lake Road. Moraine Park is 5 miles down Bear Lake Road after turning. Estes Park, CO 80517-8397, and the visitor information phone is 970-586-1206. Moraine Park is accessible all year, but various parts of the park close at certain times due to bad weather conditions. You can always contact the park to find out current closures. Discover some fascinating displays and exhibits at Moraine Park Museum. The exhibits on the wildlife of Moraine Park are educational and enlightening. You will really love the interactive displays on the geology of the Rocky Mountains, with a hands-on demo where you can make the surface of the land buckle and crack. Big Thompson River flows through Moraine Park and is a favorite spot for fishermen. The backdrop of the Rockies just adds to the pleasure of trout fishing here. Hiking the Moraine Park area takes you to some fabulous sights, like Mill Creek Basin, Fern Falls and Bear Lake. You’ll find two trailheads here for great trekking into the backcountry - Cub Lake Trailhead and Fern Lake Trailhead. Riding the Moraine Park trails provides amazing experiences, from watching elk grazing, enjoying Ponderosa pines exuding the pleasant pine scent, seeing mountain streams tumbling over rocky beds. Wildlife is abundant and you may catch sight of a bighorn sheep, deer or coyote. Horseback riding through Moraine Park is like stepping back in time. The Moraine Park Campground offers first-come, first-served camping from mid-September through mid-May, or reserved camping during the remaining months. At 8,150 feet, there’s nothing like sleeping under the stars, waking to view the lovely meadows and relaxing with the forest as a canopy. The name “Moraine Park” comes from two ridges running side by side (moraines) that form the edges of the plain. Bryce Canyon information and highlights. Visit Arches National Park, just outside of Moab Utah.